With oily skin, each new makeup product you apply is a gamble. Will this one last all day in a miraculous fulfillment of longevity, or will it become slick and smudgy in a matter of hours, smearing off your face in a stunning defeat? Take it from makeup artist Brittany Spyksma: "Sometimes makeup can move a lot on oily skin, which makes it hard to get that flawless look you're going for." L'Oréal Paris celebrity makeup artist Sir John agrees. "When you have oily skin, your foundation doesn't end up staying as long. It actually oxidizes more quickly and sort of lifts off the skin," he says. Sure, there are steps you can take to prevent the latter from happening—priming your skin before makeup application, setting makeup with a thin veil of powder, and pressing a blotting sheet to your skin throughout the day—but it really all comes down to the formula you're using. To save you from spending too much money and time (and let's be real, patience) on testing different makeup brands, we reached out to expert makeup artists to share their all-time favorites. Keep reading to see which makeup products and brands are best for oily skin! "When you have oily skin, you really have to start at the skincare level to help control oil before makeup application," Sir John tells us. "Prepping your skin with a Clarisonic device and then using Hydra-Genius Moisturizer for Oily Skin ($14) is great." Try the Clarisonic Mia 2 ($170) to deep clean your pores before makeup. "Next," Sir John continues, "I would advise using a matte foundation." 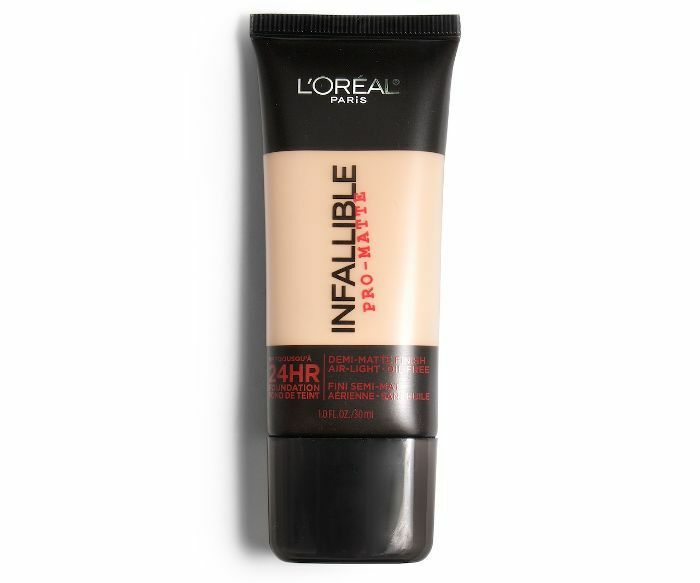 His favorite is this L'Oréal pick: "It gives you all-day demi-matte wear," he shares. 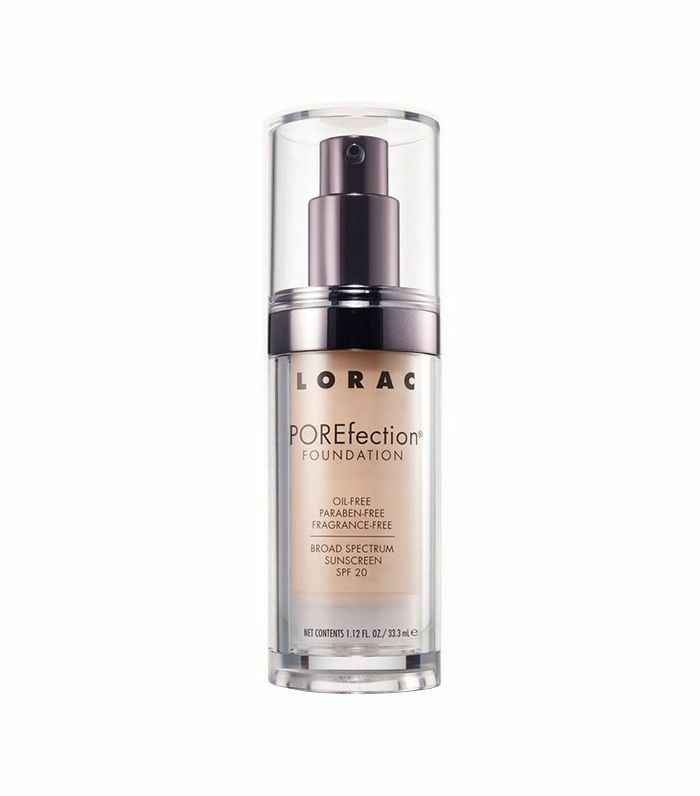 Celebrity makeup artist Kristee Liu (who has glammed up the likes of Leighton Meester and Emily Deschanel) likes this "power fabric" foundation for oily skin. The velvet matte finish keeps shine at bay without looking cakey while the ultra-fine pigments offer high coverage with a lightweight feel. "When it comes to oily skin, less is definitely more." This concealer comes packaged with two different shades so you can customize your perfect shade (this means you don't have to switch products depending on the season and your level of tan). 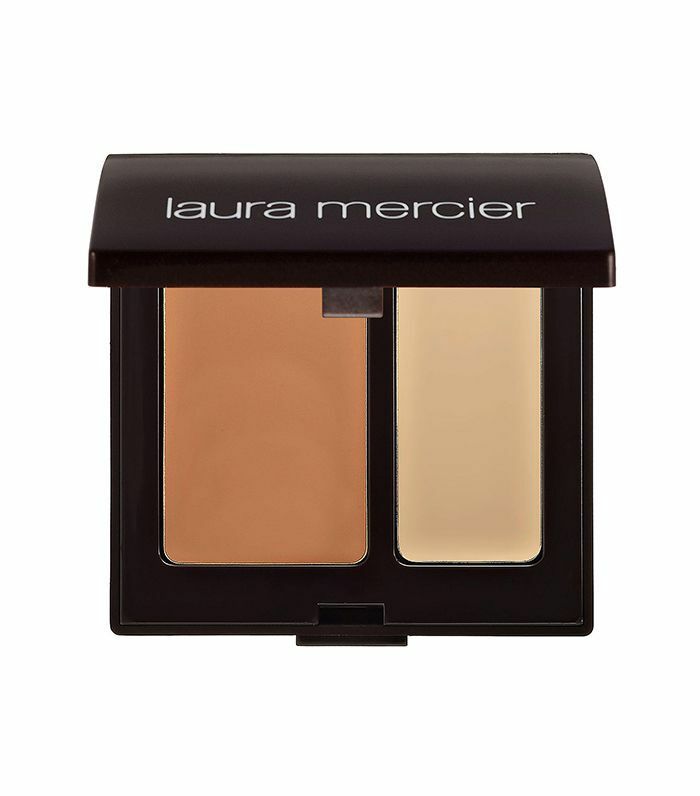 Liu calls it her favorite Laura Mercier product for oily skin. "Here are some tips to help controlling oil while keeping your makeup looking fresh throughout the day: drink plenty of water, wash your face properly with a gentle cleanser, and tone and prep your skin using a light moisturizer," Liu says. "Save the oiliest areas (T-zone, cheeks, etc.) for last when applying makeup." 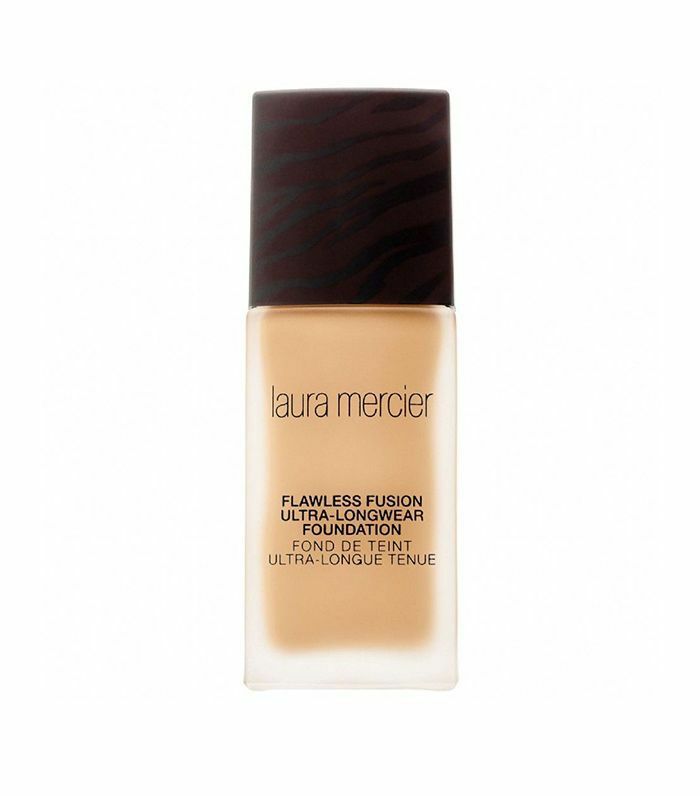 Celebrity makeup artist Tasha Reiko Brown sides with Liu on Laura Mercier products: "Laura Mercier foundations are a great option for oily skin because they're oil-free and water-based. Pigment-packed, they blend down flat into the skin and won't add more oil on the surface that will need to be blotted down later." With clients with oily skin, she only sticks to waterproof, long-wearing, or water-resistant formulas. Oily skin can mean oily lids, which is a whole other obstacle. Seriously, putting powder shadow on oily lids is great for approximately 10 minutes before it starts smudging and smearing. 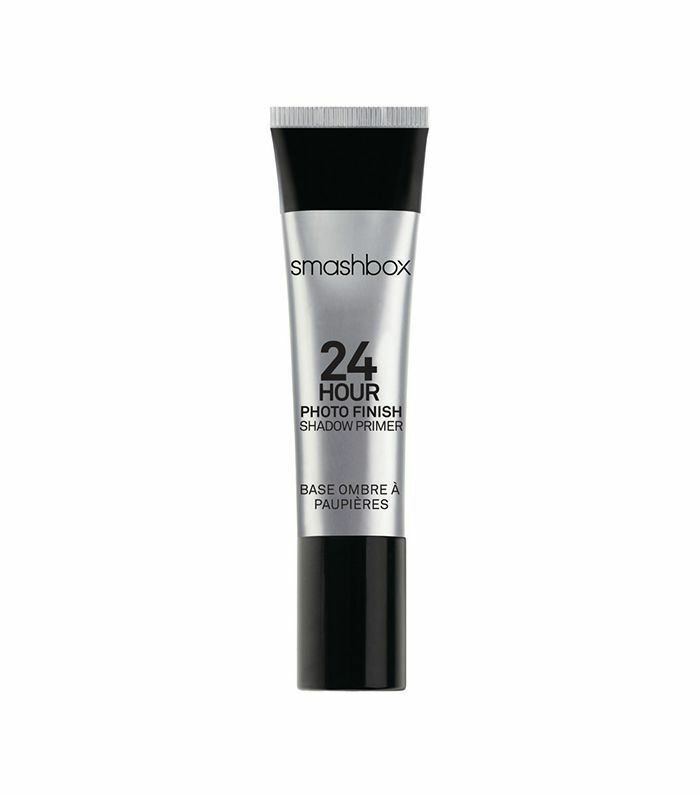 Reach for this primer from Smashbox. Liu uses it for extending wear; it's sweat- and humidity-resistant and promises 24-hour-lasting ability. Spyksma recommends this award-winning pick from Yves Saint Laurent. 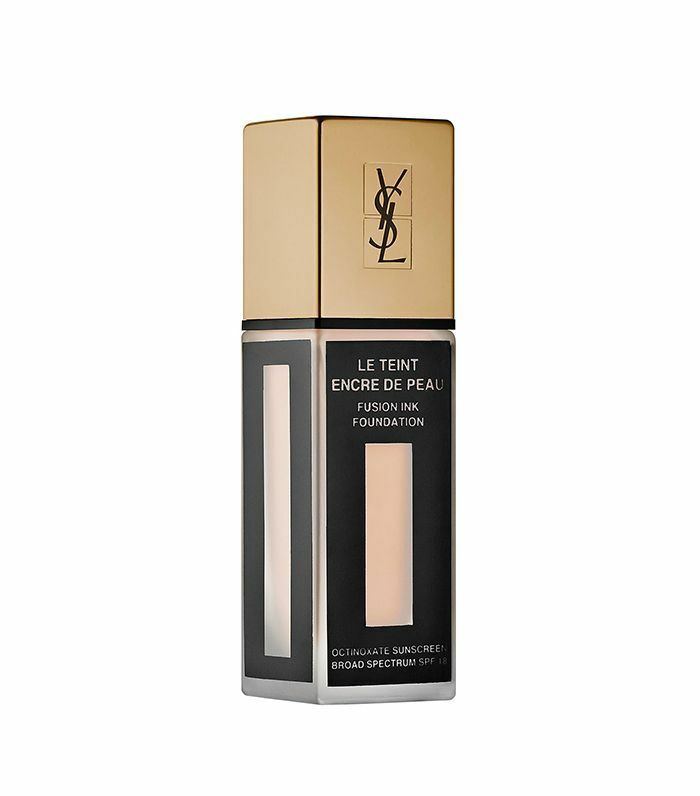 "YSL Fusion Ink Foundation works really great for oily skin. It stays on all day and helps to control shine," she says. It has special oil and sweat control technology, so the wear and texture aren't affected by heat or humidity. Plus it has SPF 18. Where has this foundation been our entire lives? If you have really oily skin, don't think you should just apply foundation and go. Spyksma says layering is key. She says to start with a primer, apply makeup, use a non-cakey finishing powder, and set. 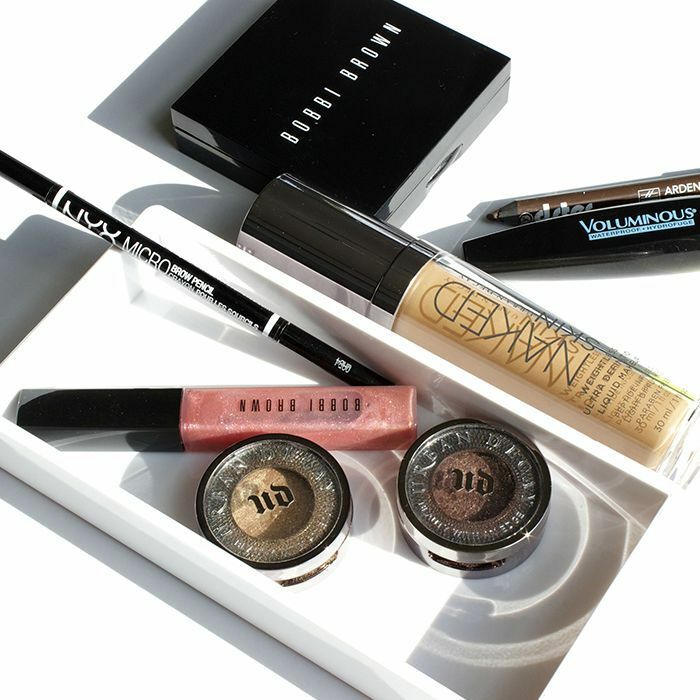 "Finishing your makeup application with a setting spray really makes a big difference. Model in a Bottle ($19) is my absolute favorite," she tells us. 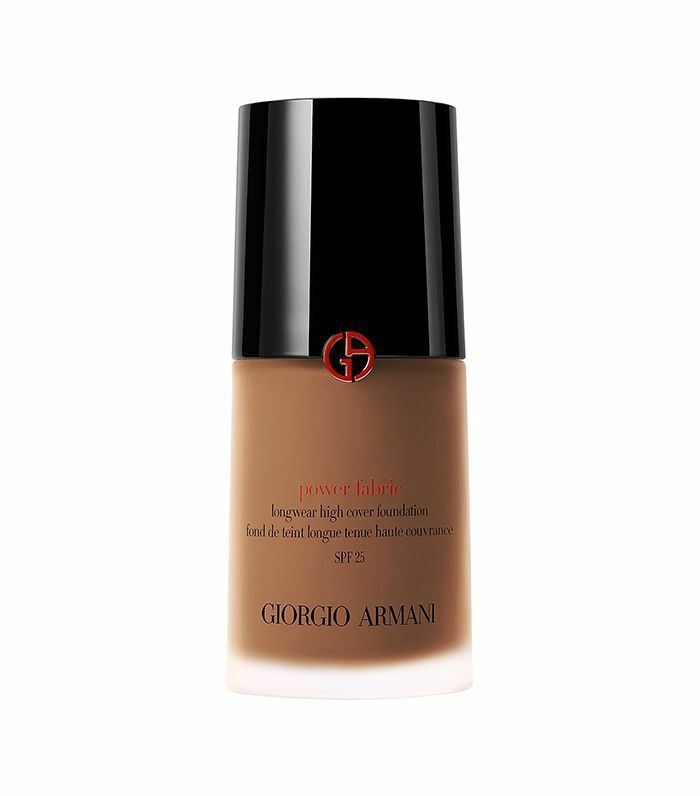 This foundation is oil- and fragrance-free (aka non-irritating to red, sensitive skin). Spyksma calls it "really beautiful for oily skin." It's also SPF 20, so you can say no to sun damage even if you forget to apply your daily sunscreen. Even with the right formulas, Spyksma emphasizes pre-application skincare. "A lot of girls think that applying with moisturizer to oily skin will make it more greasy, and that's not true. Using a good oil-free moisturizer will help to control the oil production on your skin," she says. "Burt's Bees is great for oily skin, as it's natural and won't irritate problem skin," says Brown. "Burt's skincare gives me confidence that I won't have a reaction on problem skin, and Burt's makeup has enough pigment that it will hold up in a professional setting." Just be sure to go easy on setting powder, no matter which foundation you go with—even if it's a BB cream. "Keep powder light," cautions Brown. "While it may seem like the right thing to do, it may cause your pores to fight back and push out even more oil. Opt for a light dusting of translucent power and carry oil-blotting sheets instead." 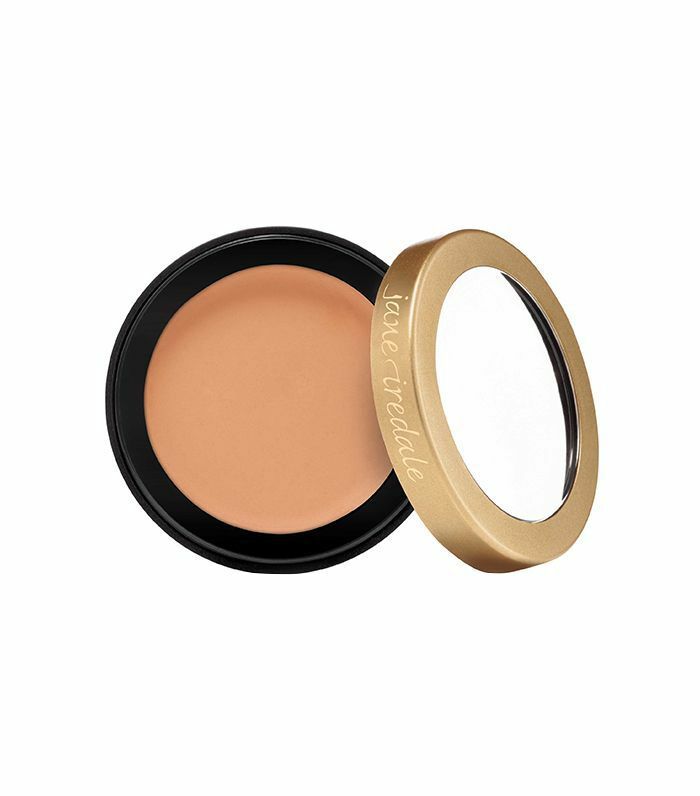 Sir John agrees, calling over-powdering "the biggest misconception" about oily-skin makeup. "The powder builds up and clogs the pore, which in return inhibits oxygen and causes the skin to produce more oil." 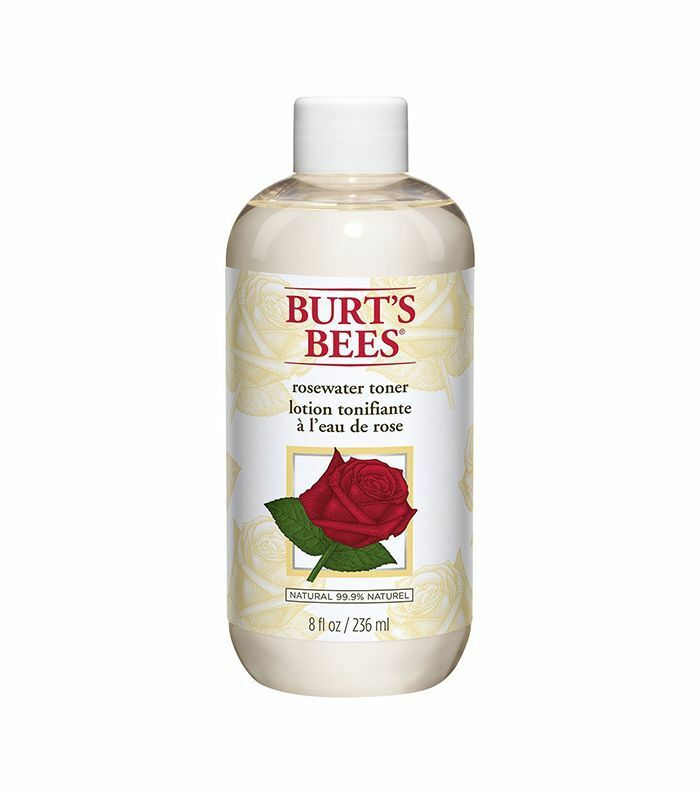 "I like to prep oily skin by cleansing the surface with a cotton pad and Burt's Bees Rosewater Toner," Brown continues. "This strips the oil and gives me a clean palette for makeup to adhere to." 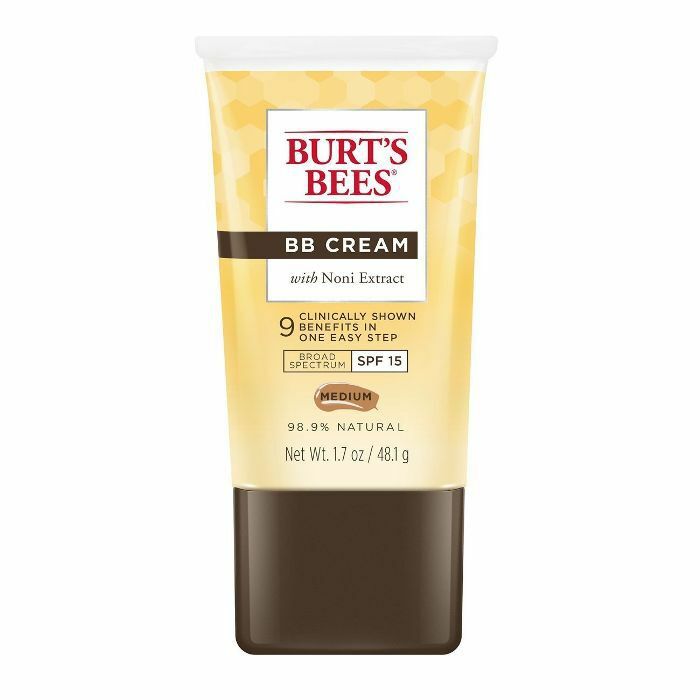 Liu also names this Burt's Bees product as one of her all-time favorites from the brand. Spyksma call this primer "amazing for oily skin." 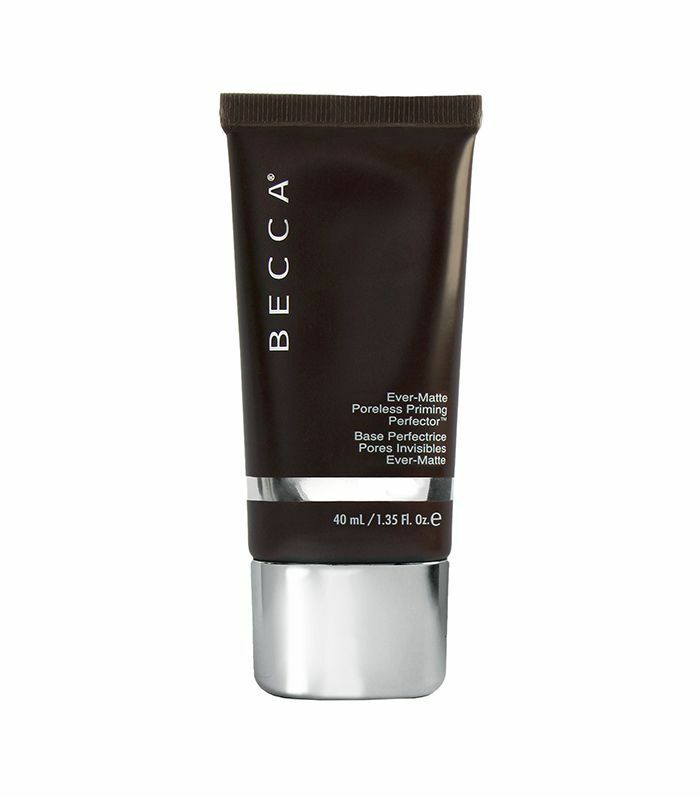 Its oil-control formula mattifies skin and keeps shine at bay for 12 hours. The best part is that you can use it to touch up oily areas throughout the day; it won't disturb existing makeup. Honey Artists makeup artist Azra Red swears by Jane Iredale for oily skin since it's "formulated without irritants." Instead, it has water or aloe vera bases. "I have oily skin myself and I have been testing skincare and makeup for years," Red says. "One of the best things you can do for oily skin is make it happy, so natural oils are balanced and your makeup stays longer. I use two products that are amazing in controlling oils so my makeup stays on for hours. I use Tammy Fender's Clarifying Dermagel ($72), an aloe-based moisturizer, and Bioderma Mat Control Pore Refiner ($20)." Next up, read about the best face washes for oily skin, according to dermatologists!